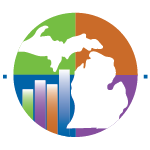 This program is designed to meet the state of Michigan Model Training Program for related Technical Instruction (RTI) for Apprentice Electricians. The purpose of this program is to provide appropriate classroom training to all electrical apprentices in regards to electrical theory, safety, and industry standards as required by the state. Successful completion of this program along with an approved electrical apprentice program, as dictated by the State, would earn the student 576 RTI hours that could be credited towards their apprenticeship. Completion of their respective apprenticeship program including classroom training and job experience would allow the student to sit for the State of Michigan Journeymen Electrician Exam. In addition,students may take additional course work to earn up to 1000 RTI hours. Note: Students in this program need to be enrolled in an apprentice electrician program approved by the State to earn the 576/1000 RTI hours.